Understanding Florida Medicaid’s Transfer Rules - Shalloway & Shalloway, P.A. 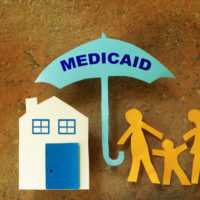 Florida Medicaid provides various benefits to eligible individuals, including benefits that provide home healthcare aides as well as assist with the cost of skilled nursing facilities or assisted living facilities. When an individual files a Florida Medicaid application for the purpose of receiving such benefits, the Medicaid office scrutinizes all transfers made by the individual during the preceding five years to determine if any of those transfers triggered a penalty. A penalty-triggering transfer can take numerous forms including: a cash gift, a real estate gift (evidenced by a change in ownership on a property deed), a gift of valuable personal property (such as a vehicle), and the sale of an asset at below fair market value. If the Medicaid applicant made such penalty-triggering transfers during the preceding five years, it results in a period of ineligibility for Medicaid benefits. Medicaid determines the period of ineligibility by taking the sum of all penalty-triggering transfers and dividing it by a “transfer of asset divisor.” The “transfer of asset divisor” is intended to approximate the monthly cost of a skilled nursing facility. As of June 1, 2017, the “transfer of asset divisor” is equal to $8,944. Therefore, if a Medicaid applicant made $90,000 worth of penalty-triggering transfers over the preceding five years, it would result in a period of ineligibility of about ten months. This is meant to disincentivize Medicaid applicants from gifting all their assets to become “poor on paper” since the resulting penalty period attempts to force the Medicaid applicant to use up those transferred funds before Medicaid will provide any benefits. Despite these asset transfer rules, Florida Medicaid law provides that certain types of asset transfers do not trigger any penalty period. Most prominently, all asset transfers between spouses are exempt from triggering a penalty as are asset transfers made to an adult child with a disability. However, an adult child with a disability may receive public benefits that can be jeopardized by receiving transferred assets. Furthermore, transfers made to certain specialized trusts are exempt from triggering a penalty because such trusts mandate that Florida Medicaid must be repaid from any remaining trust assets upon the death of the trust beneficiary. To thoroughly navigate the best ways of making exempt asset transfers, it may be necessary to consult with an Elder Law attorney.